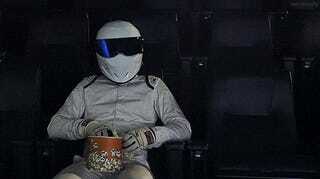 Politics below: The stig eating popcorn is me right now. The Liberals had no chance of of winning, but by no means where the PC (Provincial Conservatives) & NDP great options. I agree that change was needed, but not this extreme. The PC’s are least deadly of the 2 poisons. I’m not shocked the PC’s won.